Gary Bettman. Donald Fehr. Steve Fehr. Bill Daly. Players. Owners. Federal mediators. It's Day 98 of the National Hockey League lockout, and I've had about enough of this fiasco, as I know many others have as well. For the record, I'm not a diehard hockey fan. Far from it. I'm a casual fan at best. I've always been more of a football, basketball, and baseball guy. 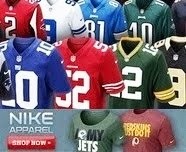 But as a sports fan in general, I can totally appreciate competition at its highest level. And last season, when the New Jersey Devils and Los Angeles Kings were fighting their way to the Stanley Cup Finals, I couldn't help but get into the excitement of it all. You could feel the intensity, and it was clear that the players were wearing their hearts on their sleeves during every second of every game. It was impossible not to admire. In fact, I enjoyed the playoffs so much, that for the first time in my life, I was actually looking forward to hockey returning this season. Well hockey never came, and it still hasn't come, as billionaires continue to negotiate with millionaires. And I can tell you this -- if and when NHL players do return to the ice, I won't be watching. Nothing to watch on the tube but a hockey game? I think I'll read a book. Free tickets to watch my hometown Nashville Predators play? I think I'll pass and go catch a movie instead. Merchandise? Well I've never purchased a hockey jersey before, but now, I'd be hard-pressed to accept one even if I were wearing nothing but a pair of boxers in the middle of downtown Music City during a blizzard in January. I'm just completely turned off by the greed, the unwillingness to cooperate, the lack of direction, and the apathy towards the fans who live and die with every drop of the puck. And let's not forget all the employees of these hockey organizations and the local businesses that are negatively affected by this dire situation. It's disgraceful, it's unfair, and I'm finished. Clearly lockouts in professional sports are nothing new. We've also seen them in the NFL, NBA, and Major League Baseball. But they rarely, if ever, drag out this long. 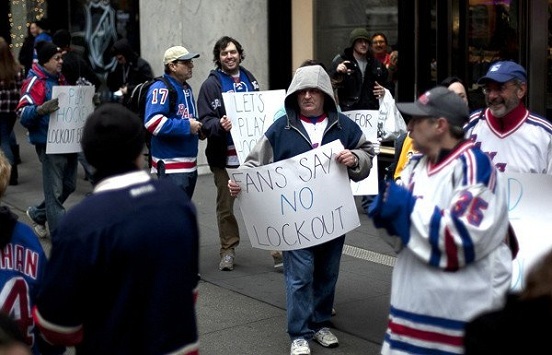 We all remember what happened in 2004-05, when the entire NHL season was cancelled due to a lockout. Anybody who has followed the lockout consistently knows that, despite all of the endless back-and-forth and meetings that haven't gone anywhere -- there is a good chance that hockey will return after the New Year. And when that happens, there's no question that diehard fans around the country will scurry to the ticket windows like kids in a candy store to welcome their sport back. And why shouldn't they? I will certainly understand where they are coming from. While I'm sure that they too feel exactly as I do as far as the lockout goes, they won't be able to resist having hockey in their life again. I mean, if the situation were altered and there was no professional football for an extended period of time, I would be chomping at the bit to see my New England Patriots play despite my bitterness and anger toward the powers that be. But, to be blunt, I just don't care enough about -- or like hockey enough, to ignore the greed and the disrespect that has been on display from Bettman, the Fehrs, and every other suit involved in these proceedings. Simply put, the National Hockey League has lost me as a casual fan, and I know that I won't be the only one. I won't be the exception to the rule.